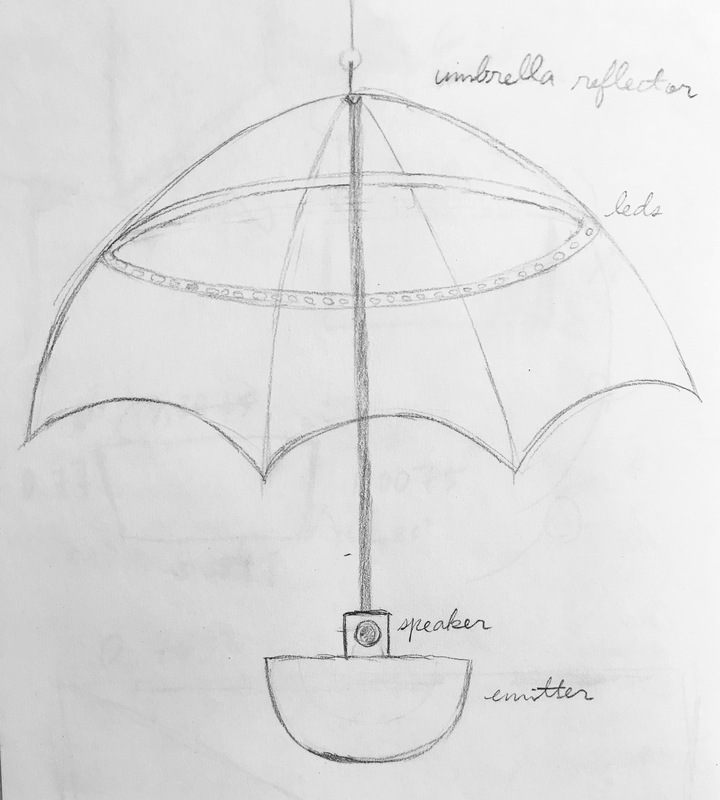 This week we were trying to make the following sketch a reality. So we went about scouring the floor for whatever we could find. We tried out a spotlight, a moving dmx, a mirrorball, simple speakers and some of my leds. We played around in the micro studio and ended up attaching two speakers to the ceiling, pointed down to create some directionality. 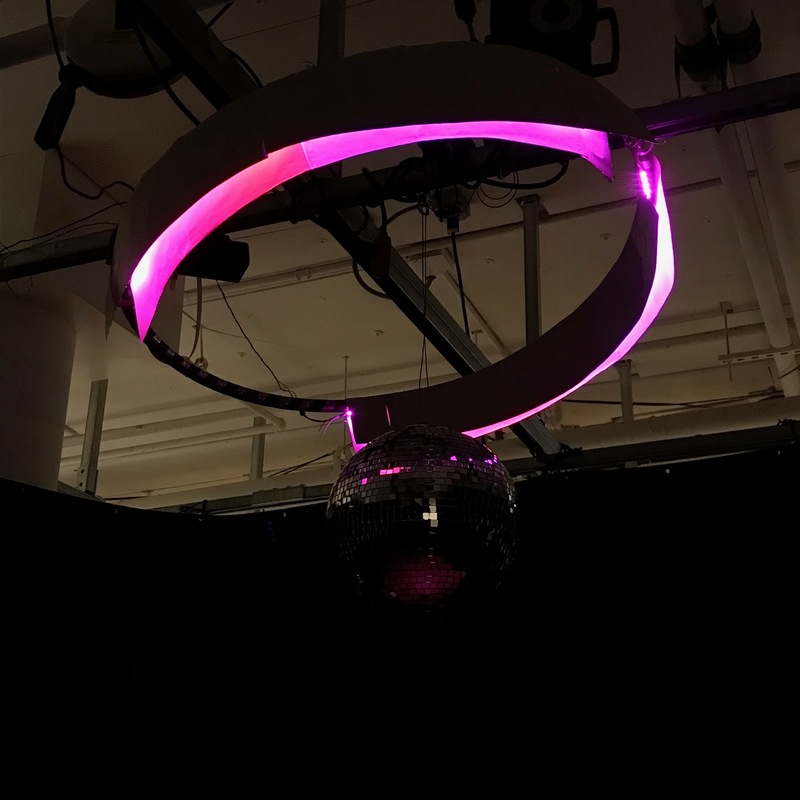 Next we hung the mirror ball and made an led fixture from a hoola hoop and some led strips. Here’s the result. 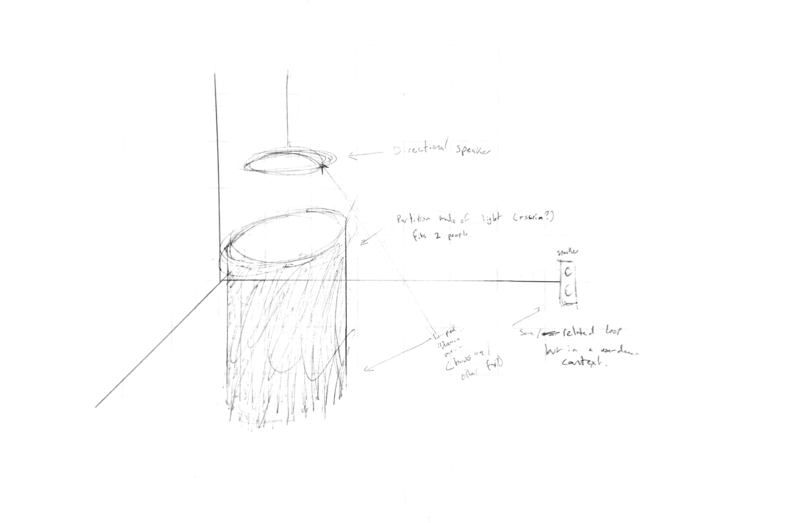 The “partition” is hard to create out of light without any smoke…. The speakers directionality isn’t great as there’s lot of bleed but its a start. We don’t have a space set yet. 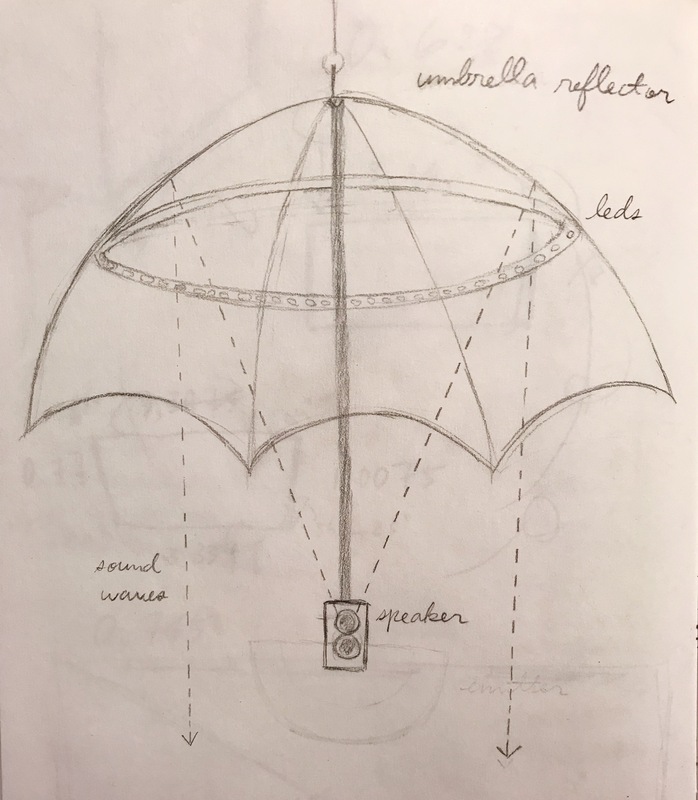 For our next step, we’ve ordered a parabolic umbrella and intend to install the lights and speakers inside of. Something like the two below.